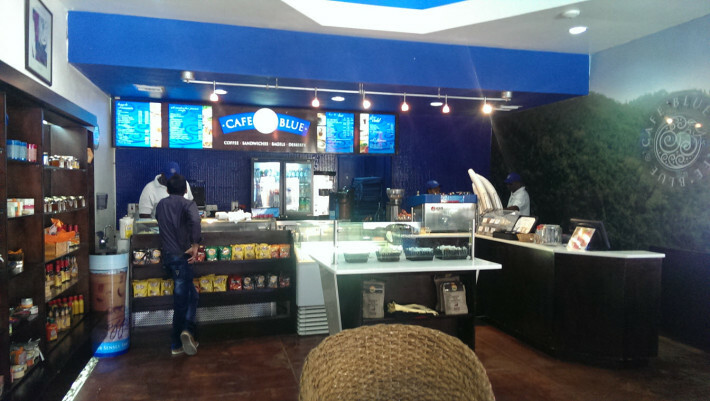 Café Blue, the home of Jamaica’s most exquisite gourmet cafes located at five unique locations island-wide, proudly serves freshly brewed 100% Jamaica Blue Mountain Coffee. We serve an array of hot and cold coffee beverages, and freshly prepared breakfast and lunch items daily. They offer: Blue Mountain Coffee, Sandwiches, Wraps Paninis, Bagle,Croissant and Breakfast, Hot and cold Beverages, Coffee and Smoodies. 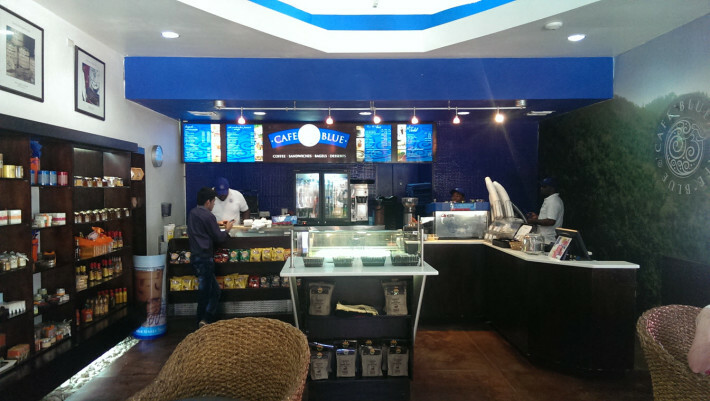 Cafe Blue is a Jamaican owned family business founded by Lawrence Sharp and operated by his two son’s Richard and Jason. For over three decades the Sharp family has been involved in the production of 100% Jamaica Blue Mountain Coffee and has now taken the coffee product “from seed to cup” and offers the final product at their five unique Cafe Blue locations. 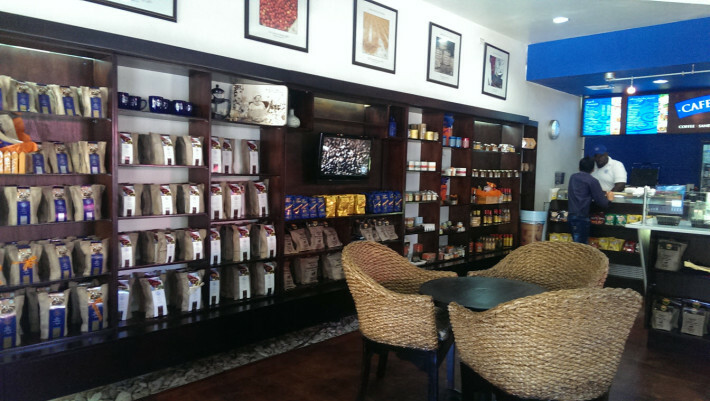 The Café Blue brand came out of the desire of the Sharp family to take the fantastic taste of the coffee they produce in their own farms directly to the public. Patrons now have an opportunity to stop by any of our locations to experience freshly brewed Jamaica Blue Mountain coffee. 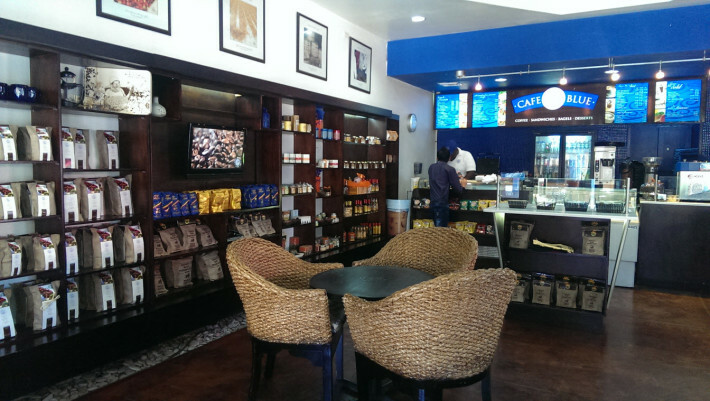 Cafe Blue also sells the only Rainforest Alliance Certified Jamaica Blue Mountain Retail Coffee in Jamaica. Available in Beans or Grounds. We carry a wide variety of Jamaican rum, rum creams, liqueurs, imported liquors & wines as well as commissary items.